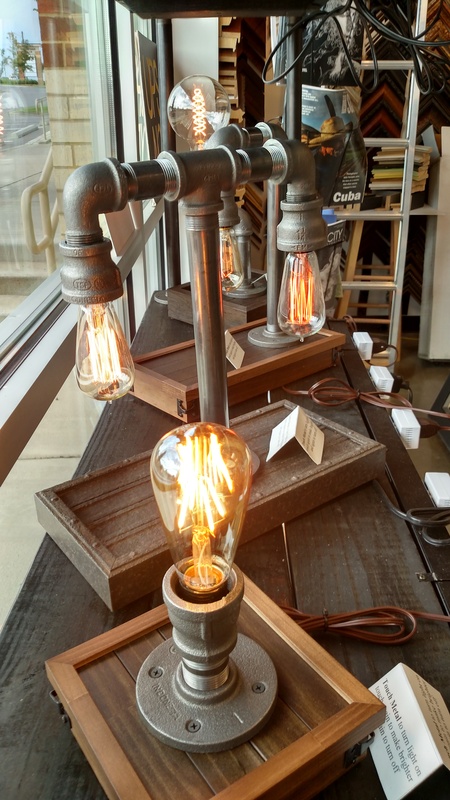 Industrial style lighting. Each lamp is handmade using salvaged picture frame moulding and comes with a touch sensor that lights and dims the bulb when the metal is touched. 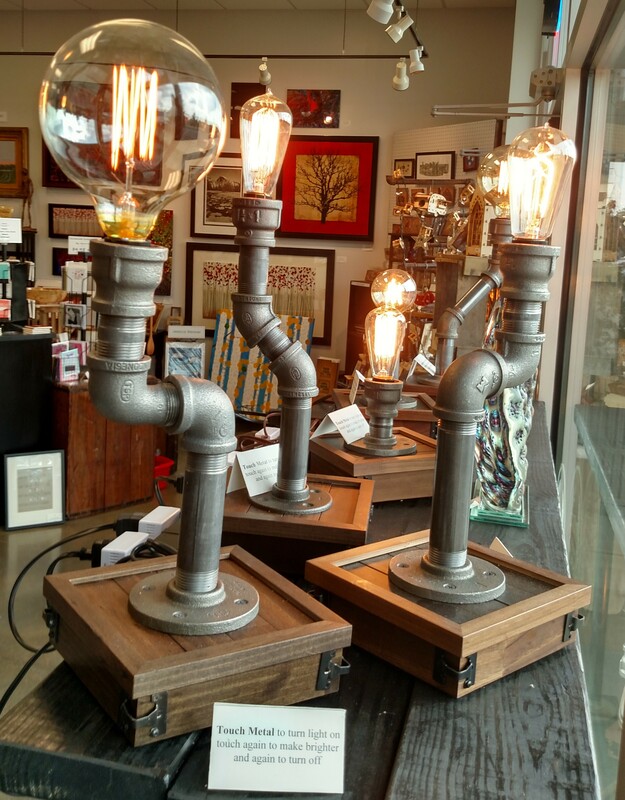 Several unique designs of lamps with different vintage style Edison light bulbs.